The easiest way to get familiar with Caja is by trying out a few simple snippets in the Caja Playground. 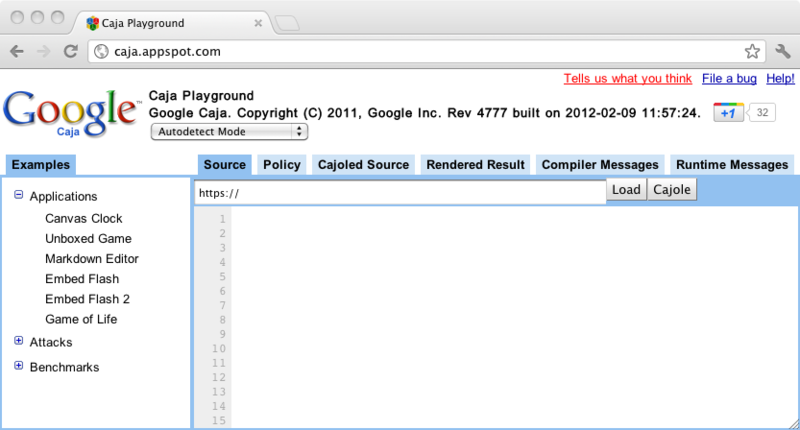 Visit the playground by opening http://caja.appspot.com/ in another tab or window. 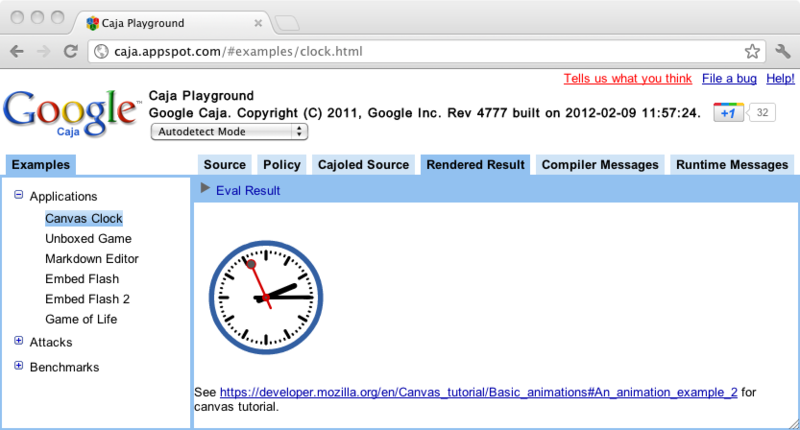 The HTML source of the "Canvas Clock" loads and is displayed in the Source tab. Note that you can modify the source before cajoling it, as well as reference other scripts, stylesheets, images and other webpages as you ordinarily do in HTML. To use the cajoled code, you can switch to the Cajoled Source tab and cut and paste it into your source file. The Cajoled Source tab includes a link to caja.js which sets up your page as a host page. 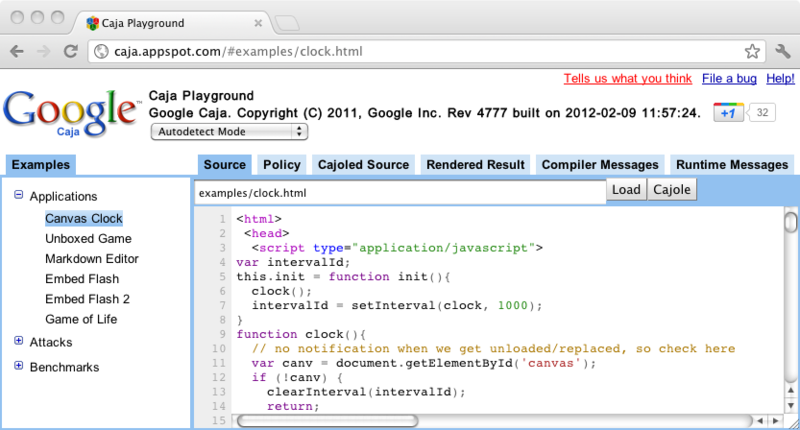 You saw how the various tabs in the Playground allow you to examine the internals of how Caja transforms code. Try out more of the predefined examples in the Playgound, and experiment with your own ideas. Read about Getting Started with the API.